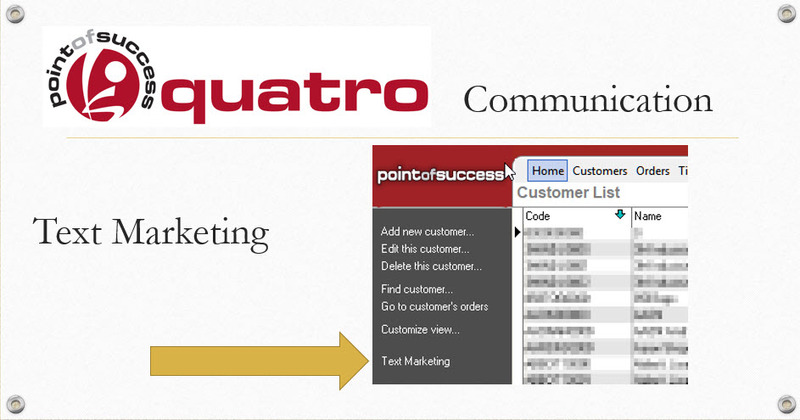 You are here: Home / Point of Success Quatro – What’s New? Lots of new features and enhancements to add to the already excellent Point of Success software. 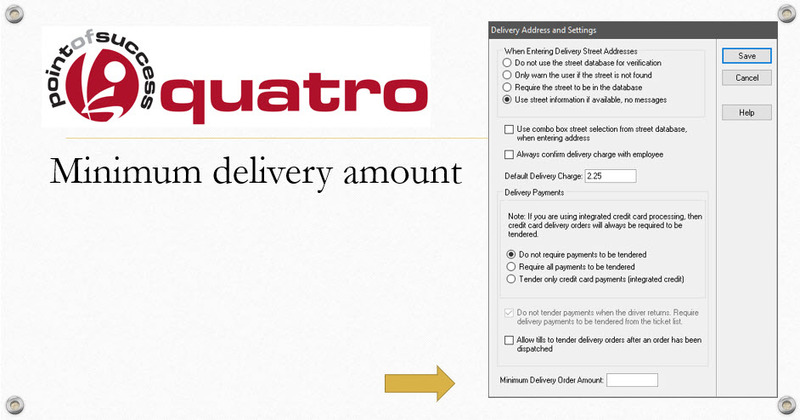 Flexible, useful payment enhancement allows for many payment buttons of every sort of payment type. You want to pay by cash, check, charge, food stamps, or any others – use 10 buttons to take all forms of payment. 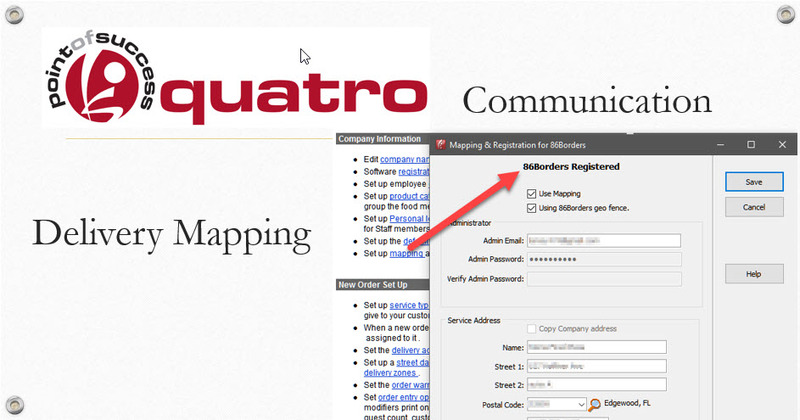 Use the New Item button to quickly take multiple orders inside a Superbutton without having to close and reopen it. 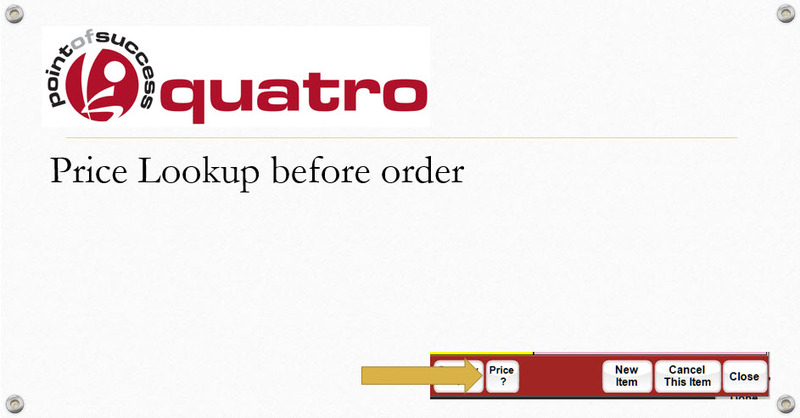 Streamline quick ordering at it best! 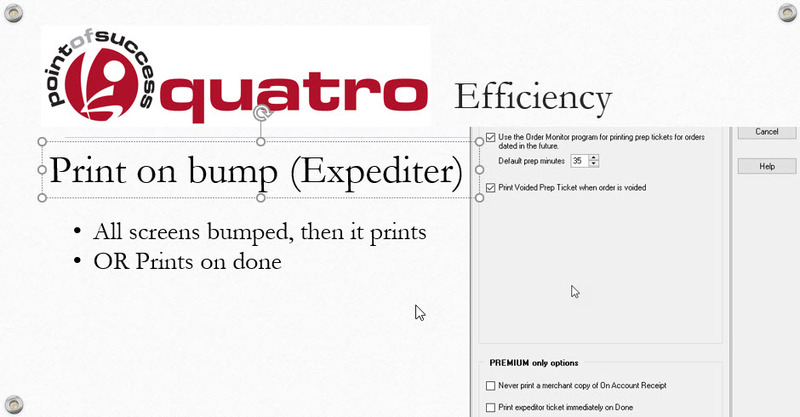 Expediter is the next level in kitchen efficiency. Whether it is an expediter screen or a ticket, it will suit your organizational needs. 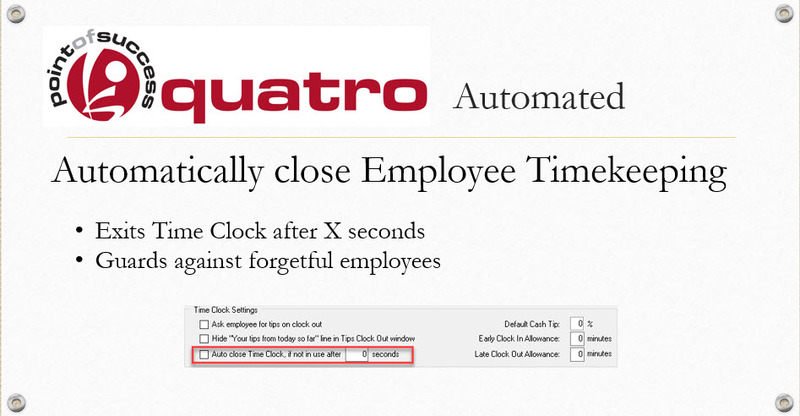 User-defined auto logout setting lets you manage your workstations when they are not attended. Set the logout time in seconds to secure the terminal. There is now an option to notify a user when they have shut down the software incorrectly. If there is a power outage, the same message will display. This helps you protect your data and train users to properly shut down the computer when not in use. Trigger a new day automatically with the Automatically close the day feature. 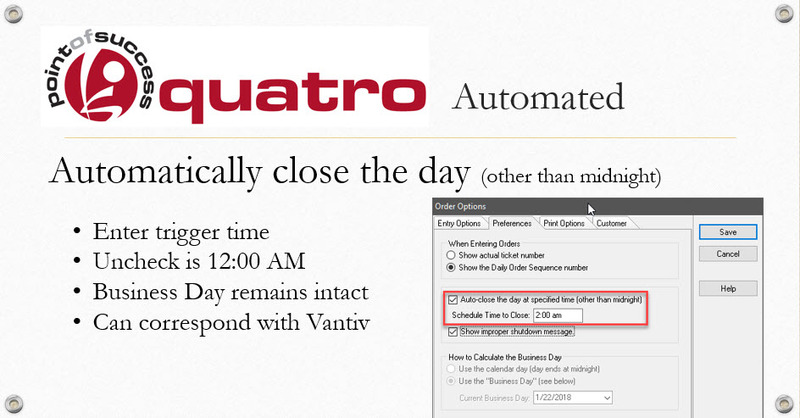 This expands the automated close to allow for times other than midnight to switch the date and close the day. 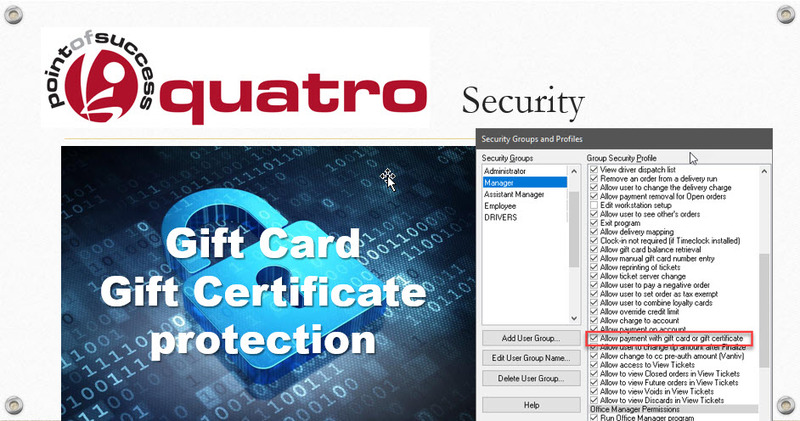 There is a new security setting allowing added control for payments using gift card and gift certificates. 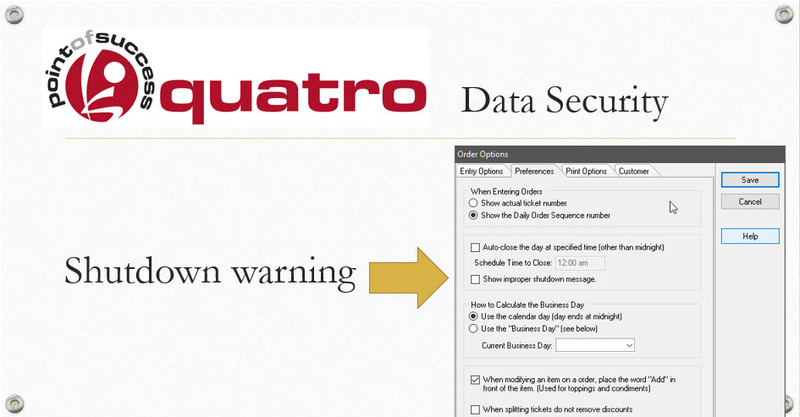 This helps guard against theft using unauthorized gift card transactions. 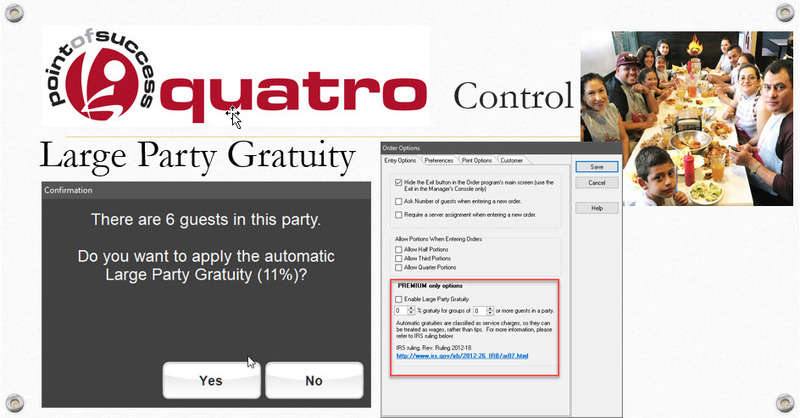 Automatically ask to charge parties a certain percentage if the party is larger than a set number of guests. Rules apply to these transaction and are posted in the software. A very good way to manage tips. 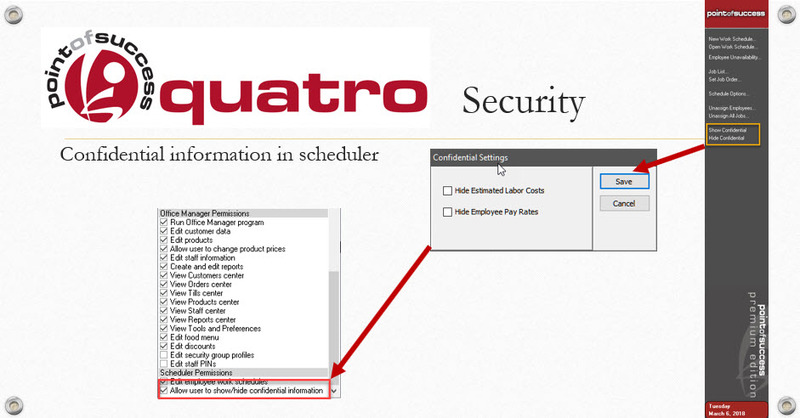 Employee Scheduler sets the schedule for employees. 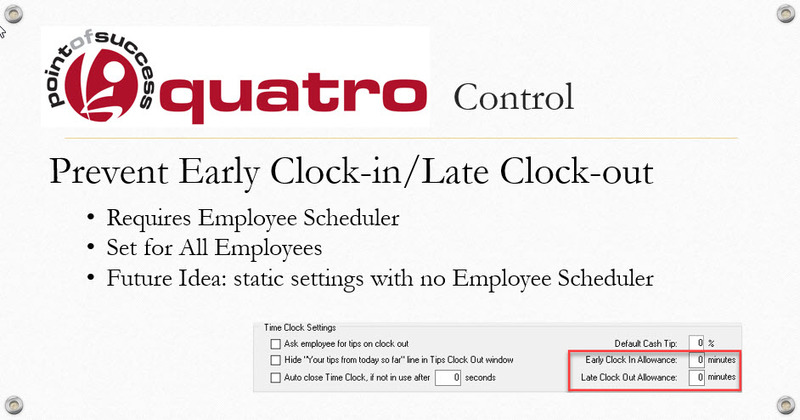 Restricting early clock-in or late clock-out without approval helps cut payroll costs and gives you peace of mind. Nobody takes advantage of the system with this kind of control. While using Employee Scheduler, it is sometimes nice to be able to hide pay rates and labor costs from prying eyes that may be looking over your shoulder. Easily hide and show them with the proper security clearance. Timeclock sometimes gets left open. What do you do? Just set a timer to automatically close the program. No worries. Automatic. 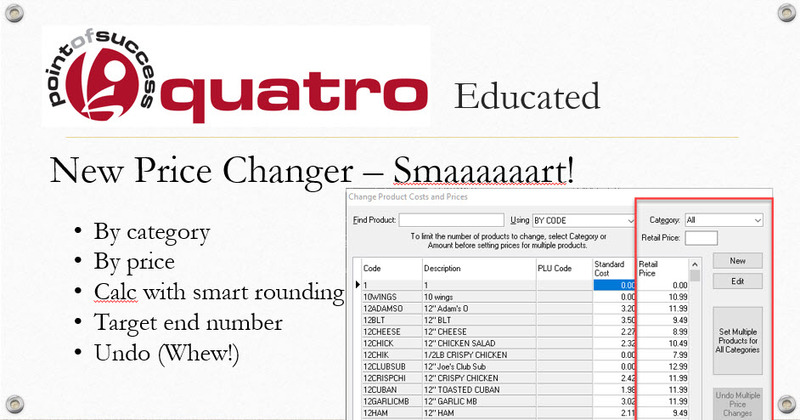 Lots of new ways to change prices – adding percentages, rounding numbers to .99 or .95 or whatever you choose. It’s all part of this great new tool to change and control pricing. Set a minimum delivery amount if you choose. The order can’t be dispatched unless it is over a certain dollar amount. Quickly look up a price of an item for a customer, then add it to the order if you choose. No worries. And no having to add items only to delete them after the customer checks the price.